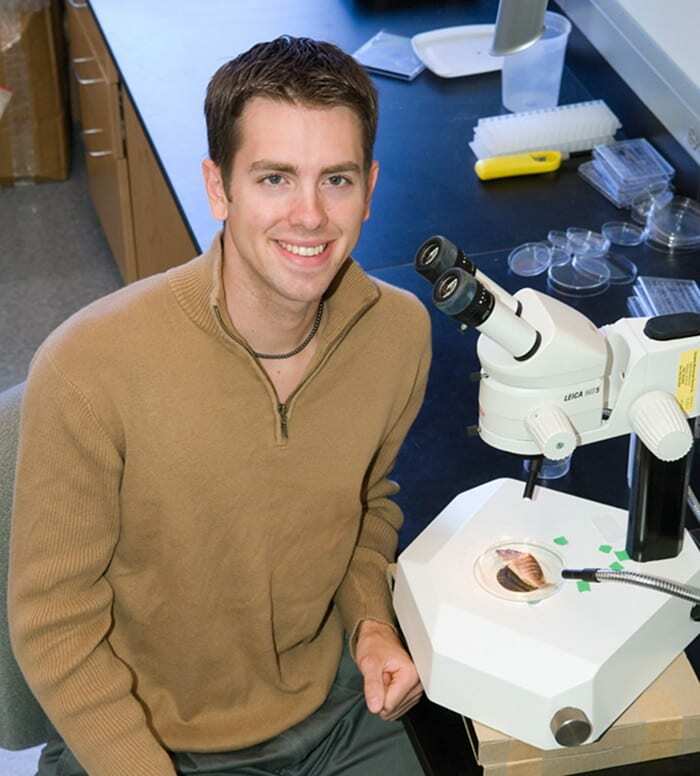 “Otoliths are constantly and permanently recording the conditions a fish is experiencing at any time,” explains Thorrold. What a fish eats can be traced back to a particular food web, which makes it possible to track where a fish went throughout its life. Thorrold, McMahon, and Michael Berumen of King Abdullah University of Science and Technology in Saudi Arabia first analyzed food webs in five specific habitats in the Red Sea off the northern coast of Saudi Arabia: coastal wetlands, coastal reefs near the shoreline, reefs on the continental shelf less than 60 meters deep, patch reefs around a continental offshore island, and oceanic reefs surrounded by deep open water. They used those data to create an isoscape, or map of the unique isotope signature of each location. They then collected adult Ehrenberg’s snapper (Lutjanus ehrenbergii), a commercially important snapper widespread throughout tropical and subtropical waters. 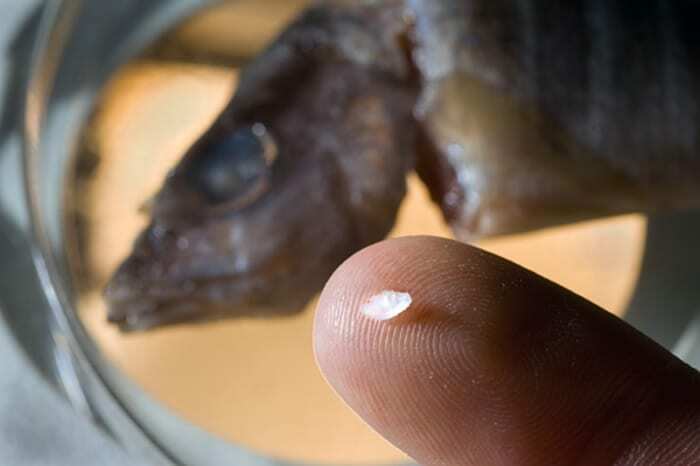 With gas chromatography, the researchers measured compounds in otoliths of individual fish, working their way back to layers created when each was a juvenile. They matched each fish’s signature to one on the isoscape, identifying with a high degree of accuracy the habitat an individual fish occupied as a juvenile. In other words, coastal wetlands are important juvenile nursery habitat for snapper in the Red Sea, but snapper are not obligated to use them, as was previously thought. Instead, the fish showed surprising plasticity, using a wide variety of habitats. “Our results showed remarkable complexity in the use of different habitats and movement patterns among them,” McMahon says. Fish movements, the study makes clear, are more complex than a linear model of coastal fish moving out onto reefs. The analysis also showed that seascape configuration plays an important and perhaps underappreciated role in determining the connectivity among essential habitats. 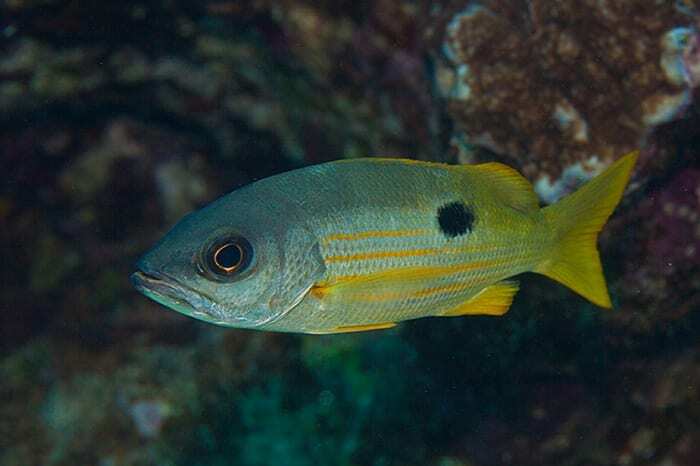 “We found that coral reef fish made remarkable long-distance migrations from coastal wetlands across deep open water – long considered a hard migration barrier for coral reef fish – to offshore reefs,” McMahon says. “That was, for me, the most surprising finding. Migration capability was far greater than we originally appreciated. It underscores the potential of significant connectivity within a large and complex tropical seascape.” These results are particularly timely, given the increasing use of spatial management approaches in coral reef ecosystems, including networked marine protected areas. The implication is that it isn’t enough to protect adult habitat on coral reefs. Habitats that supply those reefs and the migration corridors that connect them also need protection. “As human activity continues to degrade and fragment tropical seascape habitats, quantitative understanding of the connectivity among them becomes increasingly important,” says McMahon. The study’s quantitative method also provides a way to estimate ecosystem services that specific habitats provide to fisheries yields within a seascape, allowing for a more accurate accounting of these services and potentially providing a way to determine suitable value for mitigation and remediation purposes. This research was based on work supported by awards from King Abdullah University of Science and Technology, with additional funding provided by WHOI, an International Society for Reef Studies-Conservancy Coral Reef Fellowship, and the National Science Foundation Graduate Research Fellowship Program. Dream Divers, Jeddah, Saudi Arabia provided boat and dive operation assistance.